Novice readers are unable to recognise when to access prior knowledge. Explicit teaching of this skill required. Here meta cognitive thinking is really important – thinking about one’s thinking. Instruction about meta cognitive thinking led to increased comprehension and performance. By providing reading materials related to field trips or current areas of study, a student’s field of knowledge about that topic can be expanded. Selection of texts will depend on what the teacher is expecting students to do with the text. 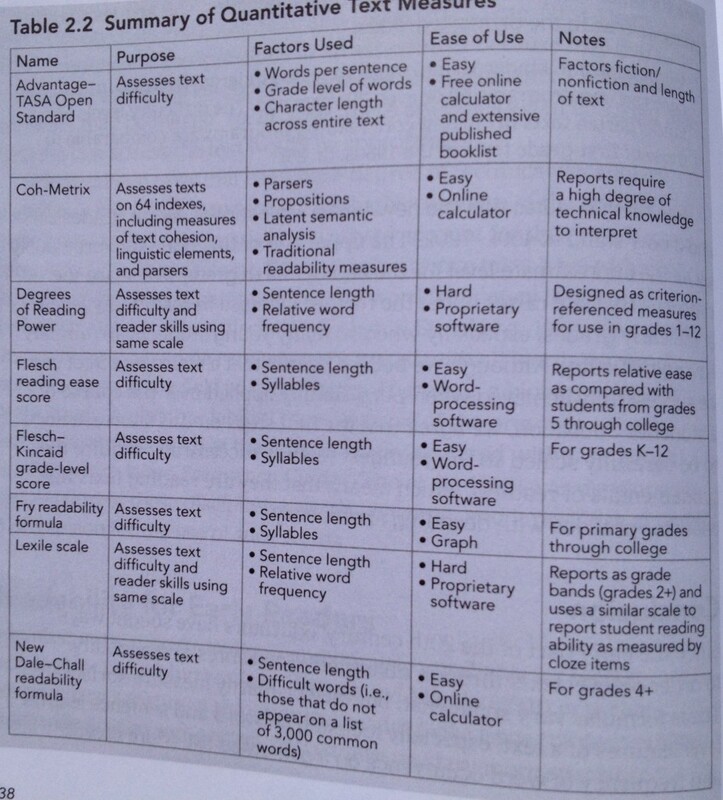 If independent reading is required then the text needs to be something matched to their performance level. If teachers want students to access more complex texts they have to teach the text. The Australian Curriculum is about increasing the rigor of what students can read through high-quality instruction. The teacher has an important role here – not just setting the work. Explicit teaching and a supportive framework is required. Opportunities for students to practice strategies with others, discuss ideas and listen to how more able readers interpret and think about texts, and then apply these strategies (gradually) more independently are really important factors in a quality teaching program. As apprentices, students need to have thinking made visible. There are a number of components that can be modelled, including comprehension, word solving, text structures, and text features. Comprehension – teachers can model- visualising, inferring, summering, predicting, questioning or monitoring. These should be used as appropriate to the text being explored not curricular used with a certain number of weeks allocated to each strategy. Readers have to learn to notice clues that trigger specific, useful cognitive strategies. Students need to see these as problem solving strategies to be used when meaning breaks down. Over the past three weeks in our Year Level Team meeting, our upper primary group has focused on the planning and implementation of Words Their Way into our literacy block. We started by completing the Upper Spelling Inventory and then used the on-line tool to assess what features of language students were already familiar with, and where our starting points would be. The on-line tool also helped to establish groups for instruction, clearly indicating the developmental stage each student is at. 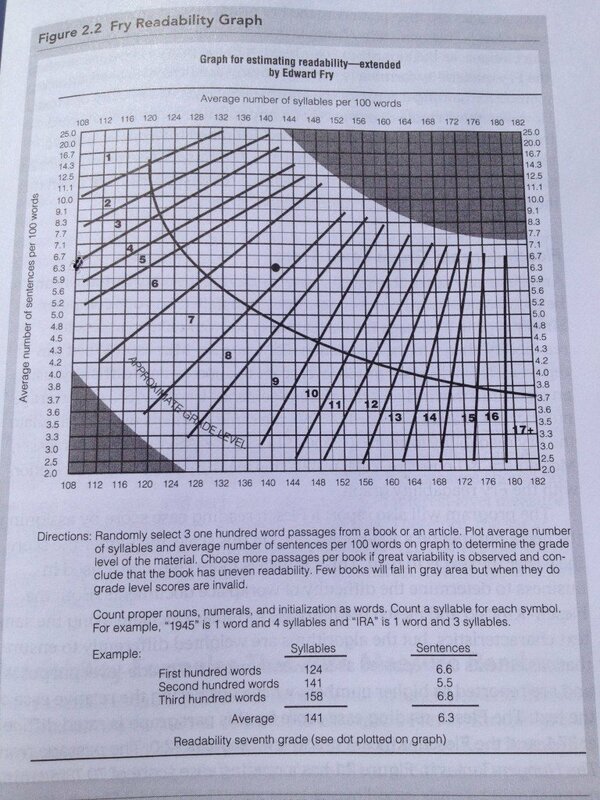 This gives a clear starting point for instruction and allow for tracking of progress. We discussed our findings as a group and decided that to get our heads around the process and to introduce students to a routine, we would start with the same word sorts. This helped both students and teachers. 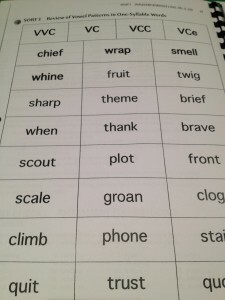 We established the aim of word sorts – to categorise words as determined by sound and then visual cues, and to look for patterns in our language. Routines and ways of working were also practised. Students worked in small groups and pairs on activities such as: word sorts, speed sorts, blind sorts and word hunts. Support staff were utilised during these sessions to support individual students targeted through the assessment process. identifying part of speech – noun, verb, etc. make it fun! and active – Mexican Wave, YMCA (vowels and Consonants) – ‘V’ Power – Every syllable has a vowel sound, every sentence has a verb. Identify syllables by using robotic movements – or jumping, zombies, etc. 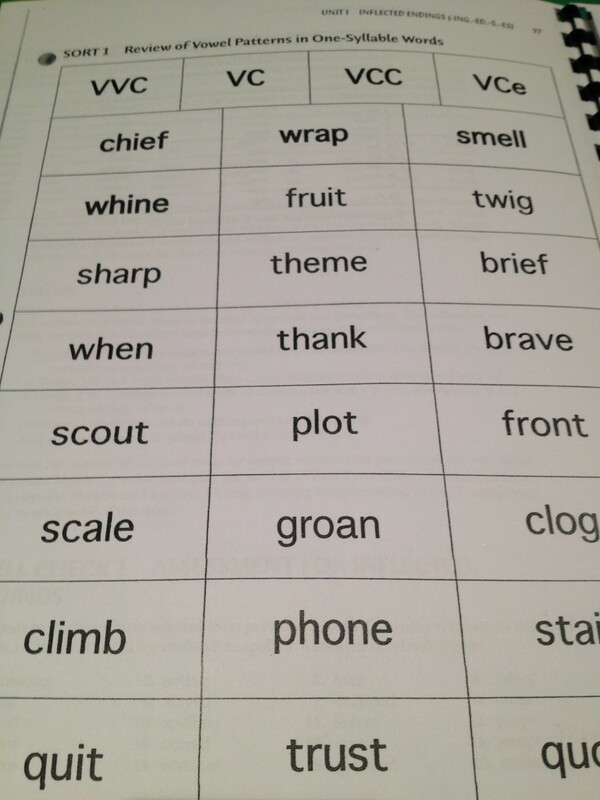 Tuesday – Sort and write in Word Study Book. Discuss patterns. Friday – Test, Dictation – Use of words with similar patterns. Comprehension strategies modelled through the use of the class novel, e.g. visualisation, think aloud, questions, predictions, etc. Students practising the comprehension strategies during independent reading – showing proof via post it notes, records, blog entries, goal setting and review. Guided Reading – as per last term, but limit to three in each group to ensure engagement. I like the structure suggested in this review of the Daily 5 in this classroom.